MOGA, PUNJAB (SNN) – Rupinder Singh and Jaswinder Singh, the two Sikh brothers who were falsely implicated in the Bargari desecration case, and released, accused the Punjab Police of severe torture and harassment during their confinement. 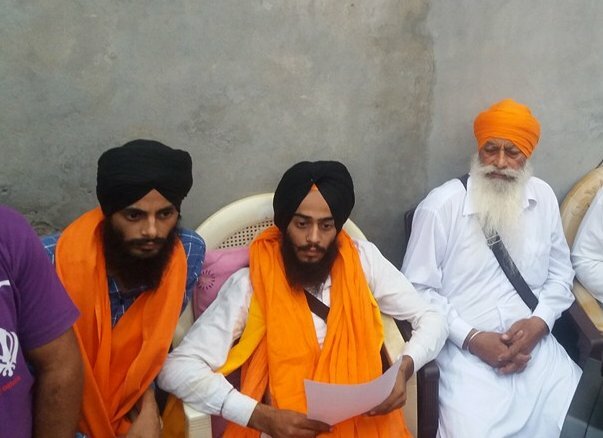 Speaking to media in the presence of hundreds of supporters and well-wishers, at their native village of Punjgrain Khurd village in Moga, the brothers shared details about how the police tried to force them to accept admission of guilt for the desecration of the Guru Granth Sahib Ji’s saroop in Bargari. They were arrested on October 17th and were kept in illegal custody in Faridkot and Moga by the Mehna police and CIA staff for three days where they inhumanely tortured and harassed. Two other individuals, Gurlal Sigh and Amandeep Singh were also interrogated and mistreated by authorities during the same time. The brothers stated that they were also offered money and jobs if they would admit to the crimes of desecration, but they refused to succumb to the pressure even after they were physically tortured and humiliated by the police and CIA staff. This included beatings, intimidation, and physically pulling their legs apart to cause severe pain and muscle damage. They stated their kakkars, including Kirpan and Kacherra, were removed by the Police, and the police committed beadbi of their kes (hair) by hitting them with their shoes. Touching a Sikh’s kes with shoes is considered an intolerable offence. The police also tried to have them consume tobacco which is considered a cardinal offence in Sikhism. Sikh leaders are demanding strict legal action against the police officers guilty of committing these offences against these Sikh detainees. The Sikh community, still simmering with resentment against the inaction by the Police and the State authorities, continued to hold protest marches throughout Punjab and other states as thousands of Sikhs lined up on roads and highways across the region demanding the arrest and prosecution of those who were responsible of the beadbi of Guru Granth Sahib Ji’s saroops, and the killing of the two Sikh protestors in Faridkot. 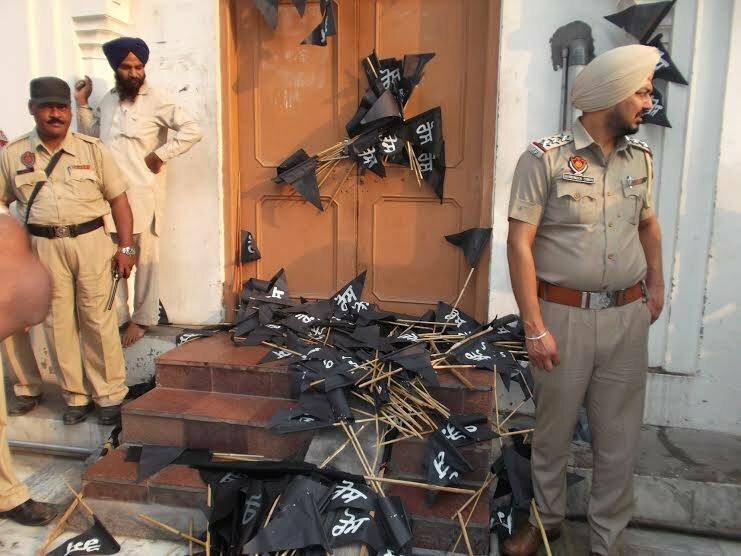 In Amritsar, scored of protestors dumped black flags on the front door of the ex-Jathedar Gurbachan Singh’s official residence and shouted slogans against him. Gurbachan Singh has not been in hiding since he and four other granthis issued a ‘pardon’ for the Sirsa cultist Gurmeet Ram Raheem.